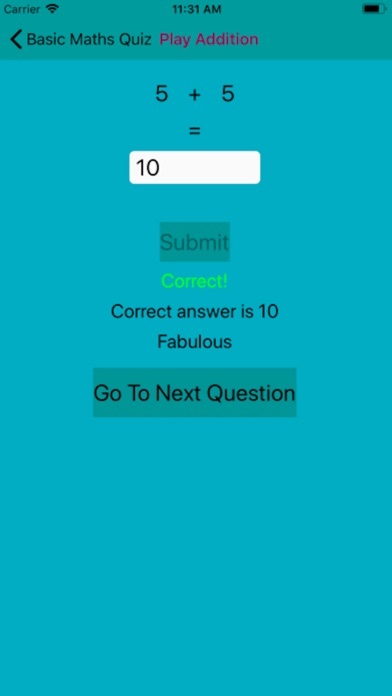 This is a simple maths quiz app for kids of Grade 2 and above. 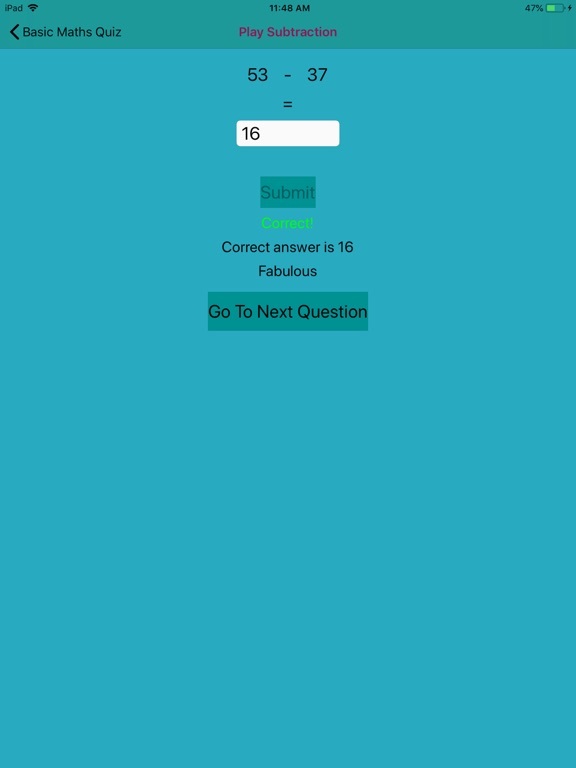 The quiz consists of questions involving the mathematical operations – addition, subtraction, multiplication and division. 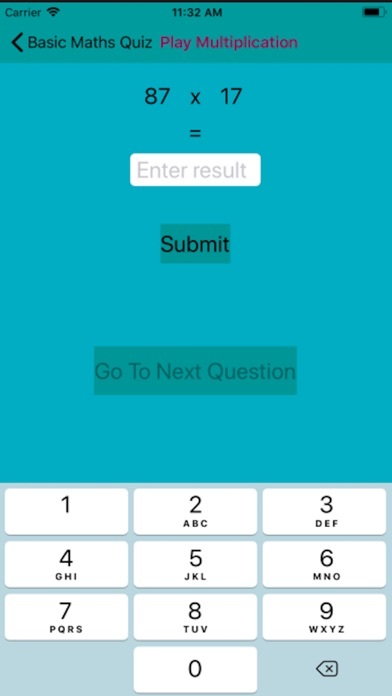 Each quiz has 3 levels. 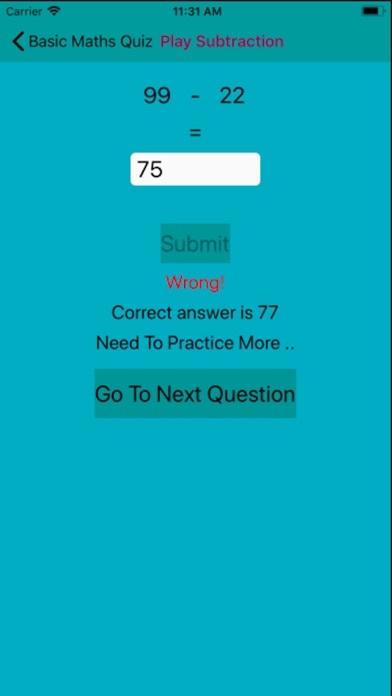 The quiz questions are based on whole numbers only. 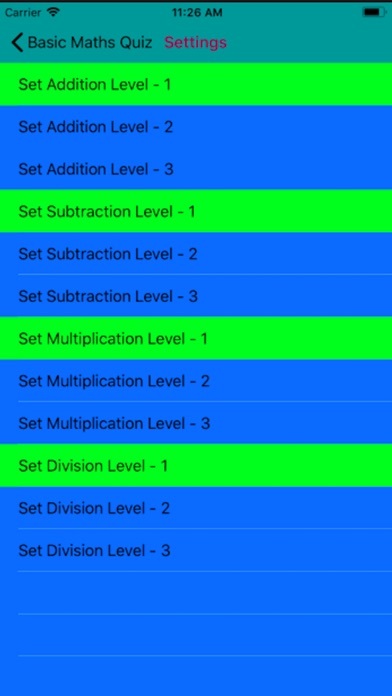 Level 1 is the simplest involving operations with single digit numbers. 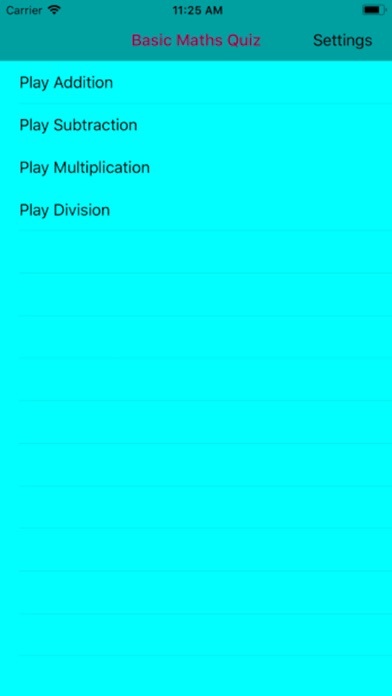 Level 2 has operations involving 2 digit numbers and level 3 has operations involving 3 digit numbers as well. 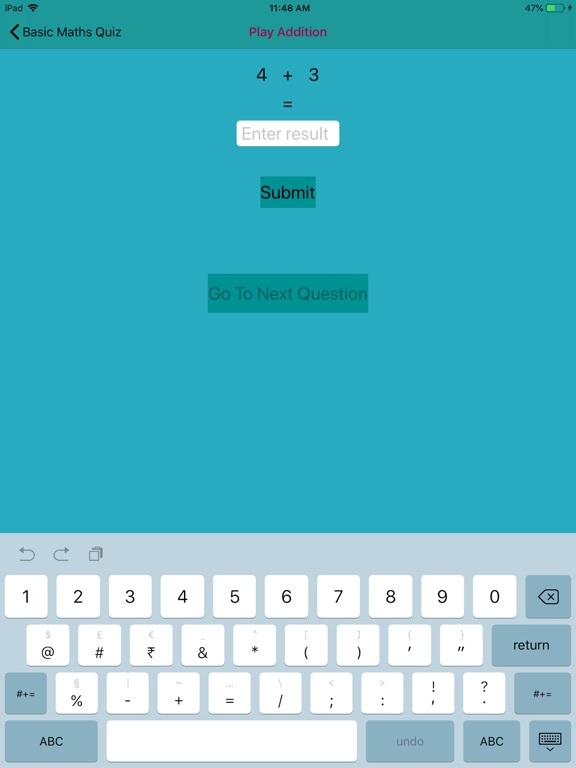 Each level consists of 10 questions before moving to next level. After level 3, it goes back to level 1. 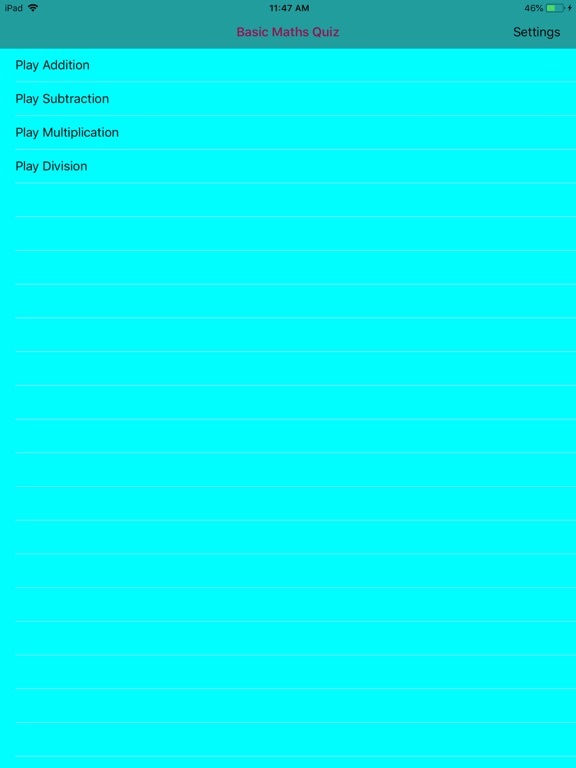 There is a settings page provided where you can set the level you want to play for the various mathematical operations. 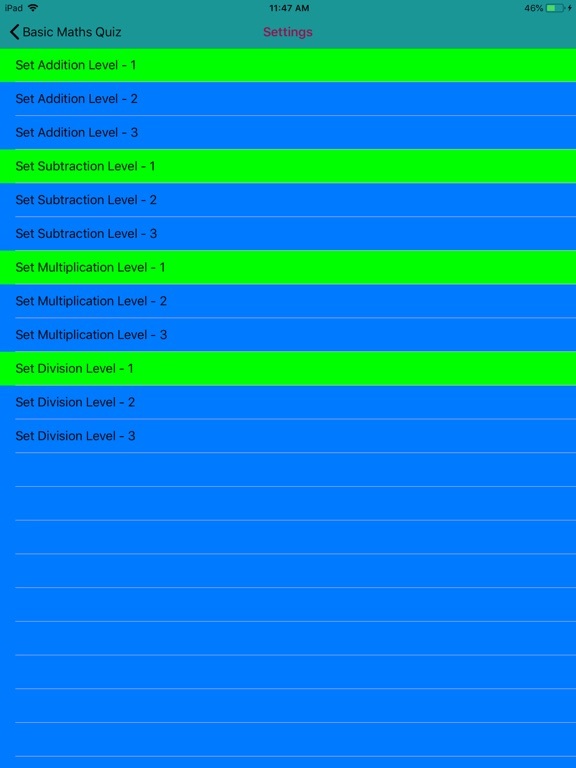 All mathematical operations quiz start by default at level 1.